Responding to a question about rituals in Buddhism, Ajahn Brahm gives a humour filled explanation of why and how. In response to emailed questions, Ajahn Brahm talks on the topic of dreams (and other such things) from a Buddhist perspective. Ajahn Brahm responds to questions about how to keep a level head and sense of contentment whilst being a busy high flyer. Ajahn Hasapanna gives a practical talk on how developing Right View can help us overcome emotional obstacles that lead to suffering like anger and greed. Ajahn Brahm gives an uplifting talk on developing a love of life through developing loving-kindness (metta). Ajahn Brahm offers a fresh perspective and wise advice on how we can deal with tragedy. 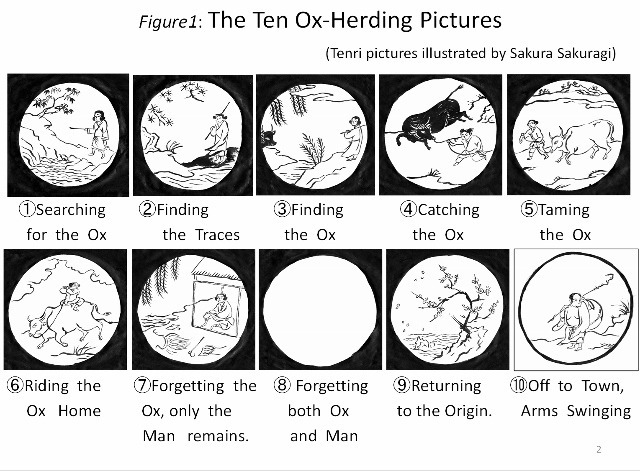 Ajahn Brahm gives his own spin on the meaning of life as presented by the Ten Ox-herder's Pictures. Ajahn Brahm explains how using a combination of compassion with wisdom we can free ourselves and others of life's problems. Ajahn Brahmali points out that if you want to be happy it is much wiser to work directly on the mind rather than trying to find happiness indirectly via external stimuli. To work with the source of happiness (the mind) is much more efficient, and in this way we can change the mind directly which we never can through manipulating external things like possessions or fame, etc. Working to develop the mind is a much wiser, more direct and more far reaching method for developing happiness in life. What is the meaning of life? Ajahn Brahm tackles this perennial question by starting with the goal - peace of mind - and working back from there. Even though it seems like were are after all sorts of other goals in life, what we're really looking for is peace of mind. Ajahn Brahm addresses articles written recently about alleged dangers of meditation by pointing to the benefits of authentic meditation methods. Ajahn Brahm talks about the Buddhist teaching on rebirth, including how it happens, influences upon rebirth, and what rebirth means for us so that we can learn to live better lives. Ajahn Brahm talks about setting goals, when to set goals, what types of goals to set, and how to set goals wisely to get the most out of setting resolutions. If were are able to see impermanence in the world we are able to see life as it really is. However, really seeing and understanding the quality of permanence in life is harder than we think. Ajahn Brahmali discusses what the problem of impermanence really means and how seeing it clearly can lead to greater freedom. One of the unique qualities of Buddhism as a religion is that it not only allows questioning and inquiry, but actively encourages it. Ajahn Brahm argues that the quality of investigation is sacred in Buddhism as it is essential to developing knowledge on the Buddhist path. Ajahn Brahm offers a teaching on the spiritual power of silence, and how the experience of silence has the power to heal all many of problems and conflicts. Ajahn Brahm shares the secrets to experiencing contentment in life. Ajahn Nissarano describes the mantra "be here now" as being like the "coordinates for happiness", but also for developing peace and wisdom. He goes on to offer advice on how, amidst our busy lives, we can learn to "be here now". Responding to a question, Ajahn Brahm talks about to deal with (the many!) difficult people there are in the world by applying the insights of Buddhist practice.